Author: Child, Maureen Set In . . .
For the first time in his life, cameras aren't focused on football star—make that former football star—Nick Candellano, and he doesn't like it. Even so, scandal is not how he wants to return to the limelight, so when an 11-year-old claims Nick is his dad, Nick wants to keep it quiet before the press and his Italian mama find out, at least until he knows if Jonas really is his son. Tasha Flynn, Jonas's fiercely protective foster mother, won't let anyone hurt the boy she loves like a son, even a man who might be his father. But Nick's charms are hard to resist. The more time she spends with him, the more conflicted she feels. He's kind, good to Jonas, and his kisses set off a fire inside her—but he could be the reason she loses Jonas forever. 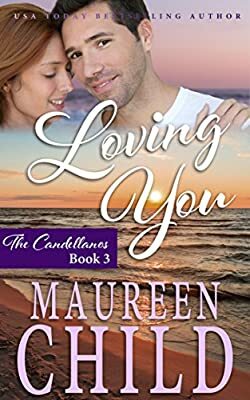 How can a single beautician with no kin compete with a rich pro athlete, especially one of the close-knit Candellanos who can give Jonas the family he's always dreamed of?